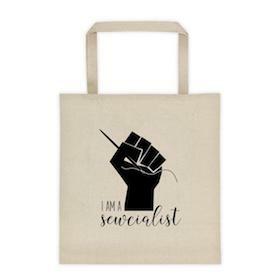 In so many of the sewing circles I’m a part of, people ask over and over about how to start a blog. Where should they host? Should they use a blog service, or should they do it themselves? And how? As creatives, we want to be able to share our talents with the community, but get easily hung up on how to get started. Computers and code can be scary to some! 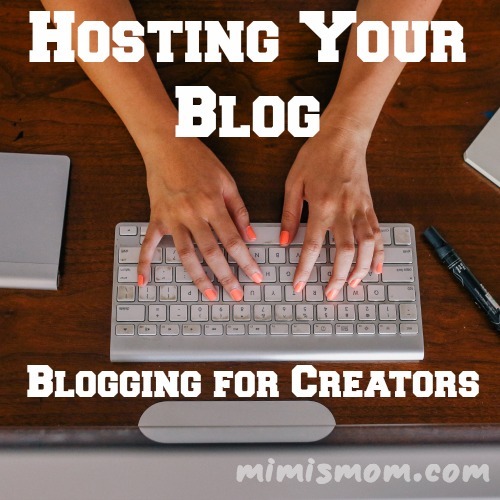 But I want you to know blog hosting for creators isn’t as scary as it seems. There are plenty of hosting platforms that will take care of all the software and hosting and perceived hassle for you. There’s Blogger, Weebly, Wix, SquareSpace, Medium, Tumblr, WordPress.com, some totally free, some with paid plans, or a combination of free and paid hosting available. I understand the draw of these. You just want to get started blogging, and you might not want to spend the time and energy to get your site set up. And the cost of paying someone else for customization when you don’t know what HTML even stands for is frightening. And will you like blogging? 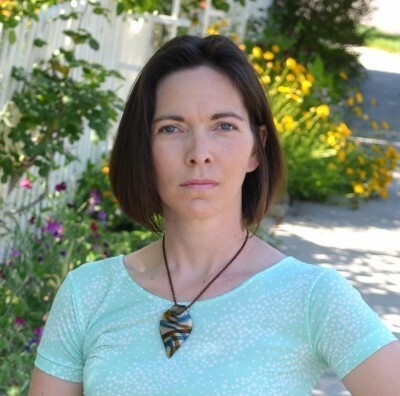 Will people want to read what you write? A blogging site allows you to get started quickly, sometimes by just signing up for an account. What are the downsides? First, where’s your content? If anything happened to the site you’re blogging with, what would happen to the hours you spent posting and all the comments you had and the following you’d attained? Most of the well-known sites have been around for awhile, but even Google has a history of shutting down products. They already closed their popular Friend Connect and Reader tools that were popular with bloggers. Also, just like any free service, they make money by making you the product. You provide content, they make money through the ads hosted on your blog. Other things to consider, do you follow their Terms of Service? Can you do what you want with your content with the restrictions there? For example, if you want to sell digital downloads of a product, will you be able to do so? Are there caps on traffic that may prevent readers from accessing your site? Lastly, consider the appearance of a hosted site. As a new blogger, you may not mind directing readers to yourgreatblog.hostingplatform.com, but wouldn’t it be more professional as you grow to just be yourgreatblog.com? And wouldn’t it be nice to have an original site, custom to you, instead of whatever themes are available in the dashboard of your host? My absolute belief is that creatives should host their own blog. You own your own site, you can do anything with it, your content is always there for you and driving traffic to your site rather than making money for someone else. It’s never been easier than now to do it yourself. When the web started and you wanted your own site, you’d probably have learned HTML to write out your code and upload it. And every time you wanted to add or change something, more code. But blogging software like WordPress now makes it so easy! While you can get a fairly professional appearance by setting up your own domain on your hosted blog, I feel it is far more professional to have your own. And hosting can be about $5 a month! You’re not going to need a giant hosting package, and most hosts now have unlimited space on even basic hosting packages. Many even have an installer in the hosting control panel to add WordPress to your site automatically for you. Done right, ads or affiliate referrals to companies you support can easily offset the cost of monthly hosting. So you might not know the first thing about what HTML, CSS, FTP, and all these other acronyms mean, nor do you want to. That’s OK too! With the amount of plugins and themes available in the community, you never need to touch a line of code if you don’t want to. The WordPress backend will help you search for and install features and themes. Why Am I Passionate About This? 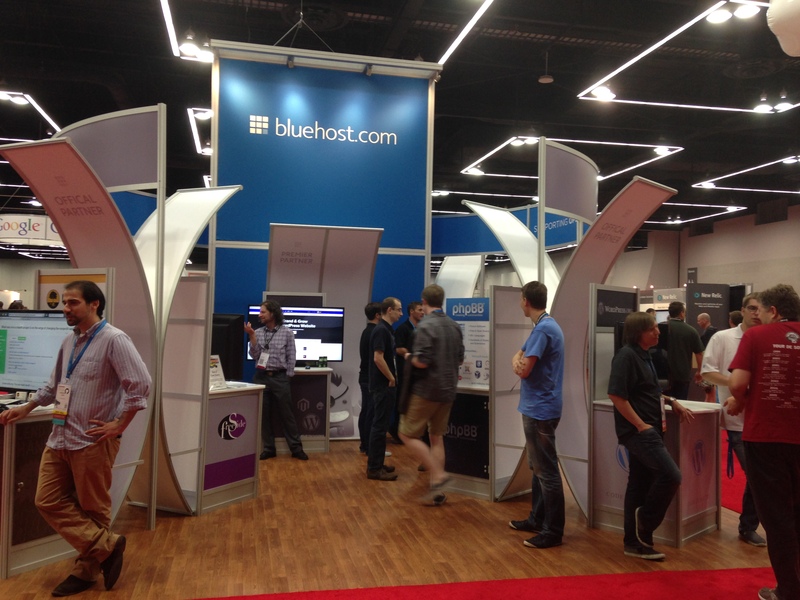 I actually spent this past week in Portland at OSCON – O’Reilly Open Source Convention – as a representative of phpBB Forum Software. Bluehost invited us, along with WordPress and a few other open source projects, to come and network with conference attendees. And I’m here because once about eight years ago, I signed up on a friend’s forum, then another friend wanted to start their own. Now I am part of the management team for the most popular open source forum software. Now I’m not suggesting that you need to start volunteering for projects and learning how to write code yourself. But ANYONE can do this! The resources on the internet are limitless. Want to know how to change your blog header or the color of links? 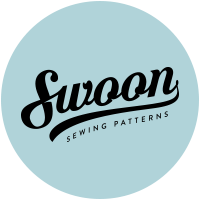 Want to add a plugin to sell your patterns from your own website? It all exists online. If you don’t know how, Google. Use the support forums for WordPress. Ask a friend in a blogging group on Facebook. Take an online course. And how great does it feel then to know that you did something you didn’t know you could do? What do you need to know next? What questions do you have about starting your own blog? Let me know in the comments! Typing image courtesy of Death to the Stock Photo. This message contains affiliate links. If you make a purchase through my links, I earn a small commission on the sale at no additional cost to you. All opinions expressed here are my own. This is great information. I have my own domain but am still on Blogger. Every once in a while I think of making the switch to wordpress.org, but it scares me! Oh, I totally get that it feels scary! But the awesome thing is there’s so much more you can do.